This excellent anthology offers the beginning French-language student a first taste of some of the world's most significant prose. Chosen for both their eloquence and ease of reading, excerpts from such masterpieces as Les Misérables, The Red and the Black, Madame Bovary, Carmen, and The Three Musketeers will open new worlds for linguists. Readers will savor the words of fifty great writers of multiple genres from the seventeenth through twentieth centuries, including Voltaire, Rousseau, Balzac, Baudelaire, Dumas, Proust, and other literary virtuosos. Lucid and accessible, the unabridged English translations by Stanley Appelbaum appear on pages that face the original French text. 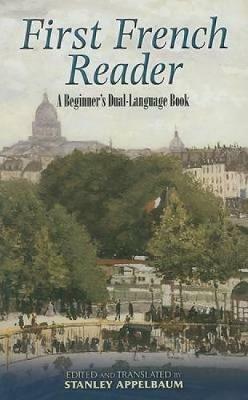 Literature lovers, French-language students, and other readers will find this volume a fascinating exploration of French literature...and an invaluable aid to mastering one of the world's most romantic languages. A former editor-in-chief at Dover Publications, Stanley Appelbaum remains active in retirement and continues to produce his original translations of French, German, Italian, and Spanish literature.